of robots ready to serve you anytime, anywhere. We believe our robots will revolutionise food and package deliveries, offering people convenient new services that improve everyday life. 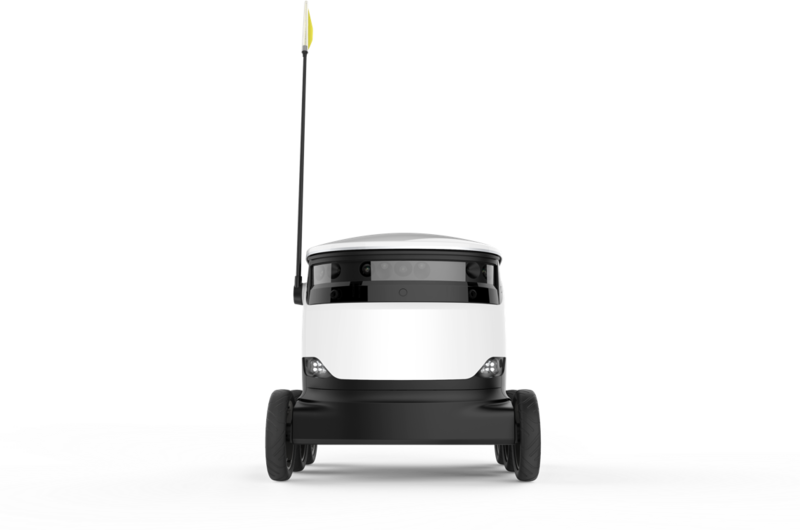 With a combination of mobile technology, autonomous robots and partnering with stores and restaurants, we make local delivery faster, smarter and more cost-efficient. If you are looking for new challenges and want to work with the latest technologies, come and join a pioneering robotics technology company. A glimpse of a future. The battle for our delivery future is on. A great alternative to delivery drones.